Informational Graphic: A Network of Mercy — Download an informational graphic that details the service types and locations of Recognized Service Organizations around the country. What does it mean to be Lutheran in social ministry? — A person seeking services may ask, “How can I tell if it is a Lutheran social service agency?” Someone working in an agency may ask, “How do we demonstrate to people that being Lutheran is an important part of who we are and what we do?” The Rev. 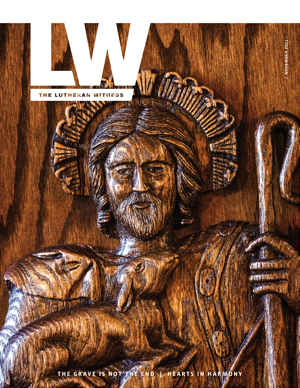 Dr. Matthew Harrison, LCMS President, explains what a Lutheran social ministry organization should consider in living out its Lutheran identity with integrity to the Gospel, Lutheran traditions and the church. Faith Active in Love: Human Care in the Church’s Life — Do you want to respond to needs in your community? Is your congregation considering whether to establish a food pantry or low-income housing for the elderly? 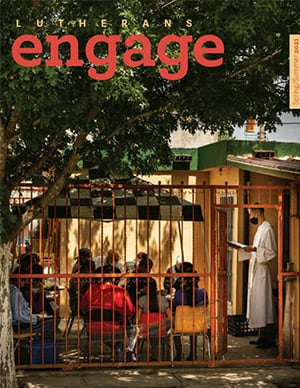 This report by the LCMS Commission on Theology and Church Relations provides thoughtful consideration on how Christians can integrate loving concern for neighbors. Dreams-Disappointments-Achievements: The First 150 Years of Social Ministry — Reaching out in mercy and responding to human needs has been a key component throughout LCMS history. This report covers post-Civil War movements and highlights the work of Johann Friederich Buenger (the forefather of LCMS social ministry) and other LCMS leaders. How is LCMS Life Ministry connected to social ministry? — LCMS Life Ministry strives to provide encouragement and support for social ministry agencies as these organizations care for those facing sanctity of life decisions. KFUO Interview — Project Compassion Ministries — Eric Stenson, Executive Director of Project Compassion Ministries, talks about how they strive to bring a sense of wholeness to the spirit, mind and body through their Love Bus and Chaplain Ministries. KFUO Interview — Memory Care for Older Adults, Part 1 — Rev. Max Phillips, Bruce Glanzer and Jodi Speicher discuss memory care for older adults. KFUO Interview — Memory Care for Older Adults, Part 2 — Senior health care professionals Alex Kiefer, Suzan Moriarty, Leslie Friedel and Stephanie Leanes discuss caring opportunities for older adults. KFUO Interview — Phil’s Friends Brings Hope to Cancer Patients, Families — Phil Zielke, Founder and Executive Director of Phil’s Friends, talks about bringing hope to those affected by cancer through the gifts of hope and prayer. The Contemporary Debate on Homosexual Clergy — This essay by Dr. Armin Wenz, a pastor in the Independent Lutheran Church in Germany, brings clarity and guidance to a much-debated issue. His words offer biblically focused insights for Lutheran agencies. Christian Care at Life’s End — How do we care for one another at life’s end? How do we receive care at life's end? This 1993 report by the Commission on Theology and Church Relations remains pertinent to complex problems. Basic guiding principles are presented for dealing with the topics of mercy killing, advanced directives, spiritual care at life's end and handling end-of-life decisions.